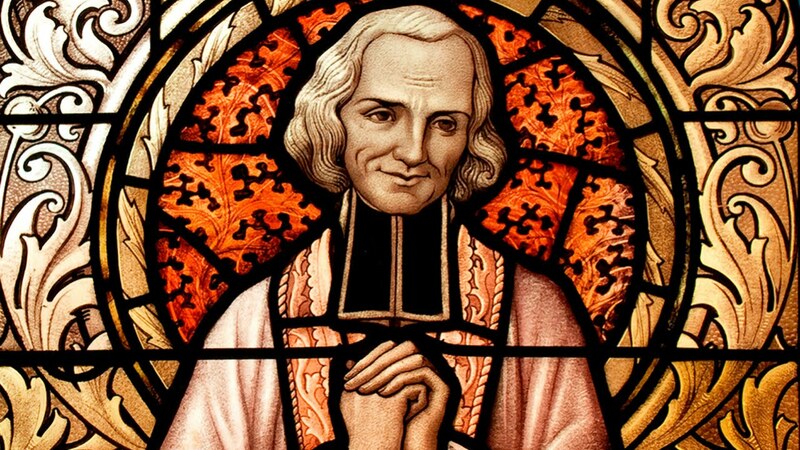 John Vianney, known as the Cure d’Ars, was a poorly educated Priest, ordained and sent to the parish of Ars in France. In Ars, he began a radical programme of renewal. Crowds were flocking to him as amazing miracles were being reported. A highway robber, having ruined his body with excesses of every kind seeked a bodily cure. Fr. Vianney quickly told him where to go. The man was furious. Although a violent robber, the man believed in God and said prayers. Despite his fury over the rebuke he received from Fr Vianney, he still went into the Church to pray. Seeing him there and seeing that he was really praying, Fr Vianney Called him into the sacristy. He went in and although he wanted to impress Fr. Vianney by offering to make a Confession, he had no intention of making a good one. But when he finished, Fr Vianney told him what he had left out – including his major crimes complete with places and dates. It had a big impact. The former highway robber repented of his ways and experienced a restoration of his physical health. Going home he became a model of the Christian life in his local community. Many great healings took place in Ars. Many were associated with the making of a good and sincere confession. Others involved the healing of children who had been disabled from birth. A poor soldier had lost his wife and was left with a disabled child aged six. He was a very devoted father and was willing to leave the army to care for his child – only then he would have nothing to live on. Eventually he decided to make the long pilgrimage to Ars with his child. He had got it in his head that Fr Vianney would heal the boy. On the way he was laughed at. “The Cure of Ars hears confessions. He doesn’t cure children. The boy’s place is in the hospital for cripples.” But the soldier persisted and eventually reached Ars and luckily got to meet Fr. Vianney. “Your child will be cured”, he was told. No sooner were the words uttered than there was a cracking sound. The crippled limbs were loosed and the child began to walk. In 1895 a sudden cure took place which was witnessed by many people. A young man, who could with difficluty walk with the aid of crutches, came to Fr. Vianney and asked: “Father, do you think that I may leave my crutches here?” “Alas, my friend,” was the reply, “you seem to have great need of them,” But the cripple was not put off. He came back again and again, always asking the same question. Finally Fr. 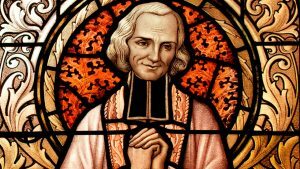 Vianney said to him, “Well, my friend, yes if you have faith.” To the astonishment of all, the young man stepped forward, left his crutches on the altar and never needed them again. Most of the miracles in Ars were miracles of conversion, and they usually centred on the forgiveness of sin. On one occasion an old man who had long since put God out of his life and rejected the teaching of the Catholic Church, visited Ars out of curiousity . As he went into the Church for a look around, Fr. Vianney grasped him by the hand, led him into the sacristy and asked, “How long is it since your last Confession?” “It’s thirty years since my last Confession” the man proudly declared. “Acutally it is thirty three years,” Fr. Vianney replied. Fr. Vianney then told him when and where he had made his last Confession. Utterly taken aback the old man’s proud rejection of God and the Church was broken. His Confession took twenty minutes despite the fact that Fr. Vianney always insisted on people going straight to the point without waffle or rigmarole. Then there was the man called Pere Rosbette. He didn’t believe in religion but, with his child sick and his wife wanting to come, came to bring them. Fr.Vianney called him up and pointed to the confessional. “Come on, get in”, he said in a commanding tone. “I don’t want to go to Confession”, the man replied. “Get in anyway”, Fr. Vianney told him. When he very reluctantly did so, Fr. Vianney quickly told him enough about himself and the things he had been doing contrary to God’s will, to lead to his complete conversion. With unrepentant sinners, Fr. Vianney was quite blunt. He would simply say, Unless you repent you are damned. How frightful!” And then he usually burst into tears. His tears often had a greater impact than his words and regularly gave the grace of repentance. This entry was posted in Healing and tagged healing, miracles, saints. Bookmark the permalink.